The Besnard’s continue to create masterpieces, their ‘Roaring Night’ album improving on their last effort by some strides. Second best LP of 2010? As a youngster I remember vividly being dragged along to the many local pub’s quizzes by my old man and my uncle to make up the numbers. My lingering memory was that we always came unstuck when it got to both the food and drink or Canadian Lakes rounds, which seemed to crop up quite often to our despair. Unfortunately our ignorance of North American aqua based topography usually led to our demise. To this day I can now at least rattle off the lakes Huron, Superior and now Besnard with confidence. Here’s what else I’ve learnt – the Besnard is an immense lake located in the Northern Saskatchwan region of Canada, renowned for being home to 250 small islands and inlets. The coastline that surrounds this grandiose water way stretches for over 180 miles before meeting the Mercier river, which feeds it. It is easy to see how such a powerful and reverent landscape like this could inspire a band, the sense of awe and viscerally stimulating beauty can’t help but force creative endeavors to an artistic set of minds. If that conjures up images of earnest, salt of the earth types wearing check shirts and sporting that ill-shaved look, or humble dour musicians camped out beneath the stars in a rugged pine wooded terrain bonding together, then think again. The Besnard Lakes are more akin to some sort of Dennis Wilson or Jeff Lynn fronted 70’s rock band, that’s found themselves marooned amongst an ethnography rich scenery seeped in mystery and populated by spies and sorrowful lovelorn characters, who swoon about regrettable decisions and missed opportunities, yet keep a dutiful trembling stiff upper lip amid the aftermath of turmoil and forgotten wars. 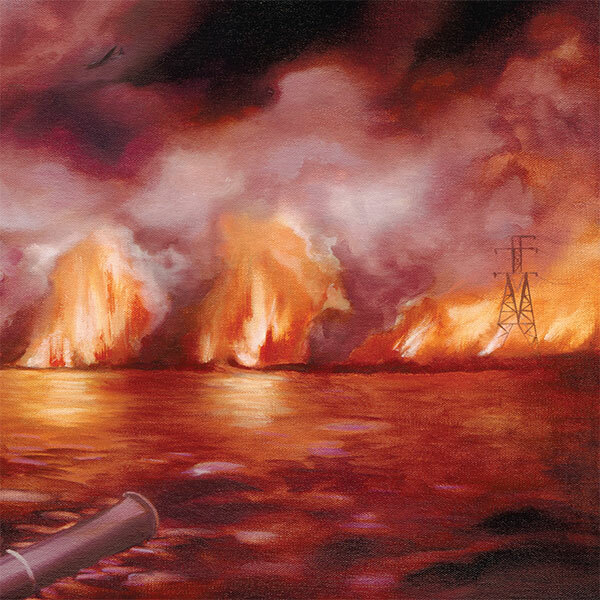 Our heartstring pulling shoe gazers create what is essentially an updated follow on from their magnum opus album of 2007, The Besnard Lakes Are The Dark Horse. Continuing along similar themes and maintaining the empyrean majestic allure that so impressed on that LP, they manage to successfully go one better and improve on that previous musical suite. 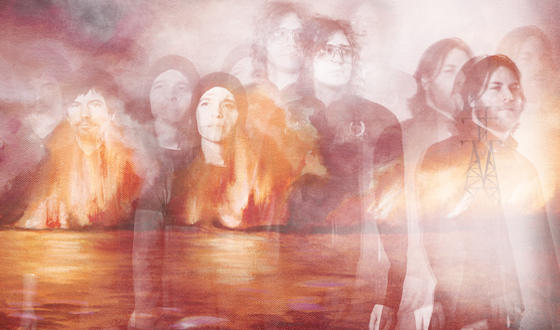 The difference this time around is that they’ve created an even more spiraling ambitious epic, that takes in all the soundscape elegance of My Bloody Valentine, Ride and Swervedriver, matching it with the harmonies of Mike Love and the Wilsons, whilst soaking up the ardor and diaphanous atmosphere of fellow Canadians Sunset Rubdown and Wolf Parade; whose debut albums evidently where both recorded at the Besnard’s own Breakglass studio in Montreal. Somewhere between post-apocalyptic rock and the blissful psychedelics of David Axlerod – I’m reminded of his ‘Holy Are You’ track especially – they squeeze in the sound of David Lynch’s Twin Peaks, whilst humbly soaking in the more scaled down sound of Led Zeppelin; the rumour is that the Neve mixing desk used on Zeppelin’s eponymous Physical Graffiti is now in the hands of the Besnards, and was used for this album. This may not be the most original sounding LP of all time; in fact you could argue it’s a re-appropriation of sorts. Yet I can honestly say this is possibly the most breathtaking and intricate masterpiece of the year, if not the last ten. Every riff and melody is refined and full of delicate touches, though they can sure bring out the big guns and stir up a feverish tempest when they wish. The slow builds and moods demand something more from the listener, there is none of that instant gratification nonsense here, instead like sampling the finest claret you must take in the aroma first and allow it enter your senses before taking a deep sip. Likewise you must allow the music to wash over you for at least the first few plays. This record has been maturing for the last three years, it deserves your undivided attention and respect, kick up those feet and lie back, turn the stereo up loud or preferably slip on some headphones – expensive ones mind, not those cheap excuses that come with your ipod. Let me now expand further on the albums ten songs of visceral resplendent beauty, starting with the opening salvo of ‘Like The Ocean, Like The Innocent Pt 1: The Ocean’, which acts as the initial guiding introduction to a nine minute opuscule. A whirling Hammond and Juno 60 set up the mysterious atmosphere as Carlos Alomar inspired guitar screeches and slides add a kind of dystopia dimension to the mood. Part 2 is beckoned in through a whirling melody and somber piano, before the first breathless high tones of Jace Lasek instantly cause the hairs on the back of your neck to rise. That almost frail and delicate voice, sounds like it could break at any moment. An underlying sense of menace is ever present as the verses tell of homes being burned and orders that relay an horrific casual disdain for the casualties of battle: ‘Kill all the swine, young and old’. Like the album covers ferocious aftermath of a barrage of cannon fire artwork reflects, there is a dramatic backdrop of war and all it’s tragic consequences including bereavement and loss. What exact period of history influences these songs remains unclear, though it seems that the lyrics drop in handy hints and point to at least the last century. Back to this now moving anthem, which Jace leads us through and we now hear a cannonade of French horn and viola, heralding loud the approaching blessed out finale. Olga Goreas as usual lends serene backing vocals, enriching the already sumptuous indolent requiem with a rapturous celestial charm. ‘Chicago Train’ rolls into the station, its title suggesting some respectful appreciation to the blues; waiting on the last express to take me away from a girl or guy ‘I just gotta’ leave behind for their own sake as I’m just no good for them, or a emotional charged scene as a returning lover is heading back into my arms again. The Besnard’s instead weave a tale of intrigue and veiled threats, the instigator promising his quarry that they’ve nowhere to run or escape, as recited in the line: ‘Wherever you will not be, neither will me’. Part stalking detective and part espionage, our fable of woe is backed up with those haunting French horns and choirboy like cooing vocals from Jace, all set to the accompaniment of flutes, strings and the scene stealing emotional pull of the ebow, ensuing a now charged aura of sentimental vigour. Side One finishes on the candidly named ‘Glass Painter’, which is full of more allusions to memories and historical occurrences. This lushly rocked out number takes in all the multi-layering atmospherics of Ride and wallows in a vat of disdain effects and reverb, so thick you could feed on them. Airy vocals are absorbed by the shoe gazing antics of the lead guitar, which incessantly ploughs on through the whole track. The second set of songs again begins with a two section mini operatic suite. ‘Land Of Living Skies’ starts with some disquieting omnipresent ambiance, with pervading waves of sound and low humming bass. A secret code is tapped out, perhaps some instructions for the spies who pepper this album. Part 2 of the track is brought in by Olga’s dream like choral voice and that ever present sensitive beguiling ebow, which now twangs away like some disposed accompaniment to a Cormac McCarthy inspired western. Sedate underbelly intensity and deep foreboding tempt the song into boiling over, yet a restrained slow tempered response is kept at all times as solo guitars ark in and out of the picture. The countryside, ocean and cold prison like interiors are all paid a visit in this romantic poetic piece of glorious prose, an emotive plea set amongst the debris of war. ‘And This Is What We Call Progress’ sounds more like a query of cynical disappointment or a call to arms. Scathing pitches of feedback are pumped up amid this up-tempo number, the bellowing doubled up drums creating a barrage of backbeats. Each kit in this case being split into either the left or right channels, throwing up an encased barrier of rhythms, almost sealing us in. Jace waxes lyrical on hiding from the bright light and investigating lost mine shafts, searching for the ghosts of old Indians, questioning the very ideals and logic of rubbing out old customs and history for the sake of building a new Empire. The eloquent tones of the mellotron serenade us with their rich opulence, swirling around us in a warm afterglow of sound. Next up is the ethereal epic ‘Light Up The Night’, restrained guitars and a wealth of organs, all helped along by the percussion work towards another anthem classic. Like Procol Harem making contact with Spencer Krug’s Sunset Rubdown, part classical and entirely subliminal, our troop takes a scenic route through reverent expanses and wonderment. Half way through and a breakdown sends us into a rock like strut, sending us to ever more dizzying heights of felicity, as the now achingly moving melodies meet to raise the song to a new plateau. The last steering line insisting that the songs protagonist makes a last ditch bid to save his relationship: ‘Run and ask her to stay, as she’s walking away’. Closing the album on a high, ‘The Lonely Moan’ is a translucent song of extreme serenity, with plenty of space echo effects and the introduction of the 80’s lush ominchord. The instrument has an electronic touch plate and a set of buttons marked minor, major and diminished, which are held down whilst you strum the plate. Found to great effect on the Yeah Yeah Yeah’s Show Your Bones and the Eno/U2 collaboration ‘Miss Sarajevo’ amongst many others. An ominous gritty bass guitar plays a repetitive riff as Olga once again sings a soft dream like lament, reminiscing the picturesque landscape she shared with a former lover. That is until the war came along to spoil everything, which could be WW I, II, Vietnam, hell even the Gulf wars or war on terror, all we do know is that its’ not on. The lofty refined echoes of the tune wash over us in an act of anointment, a religious euphoric satisfaction now guaranteed. The last 50 minutes have been an awakening. The soundtrack to a war movie that hasn’t yet been made, this LP runs through the whole gambit of emotions and themes of loss, regret, pain and sorrow. If that maybe sounds like something to take a rain check on then rest assured that this startling piece of music never drags the listener down or sounds despondent. If anything touches me as much as Are The Roaring Night this year then it will have to be a Herculean effort on that said bands part. This is now my new benchmark, by which all others shall be judged. I can’t think of any better recommendation or commendable achievement to use then that.